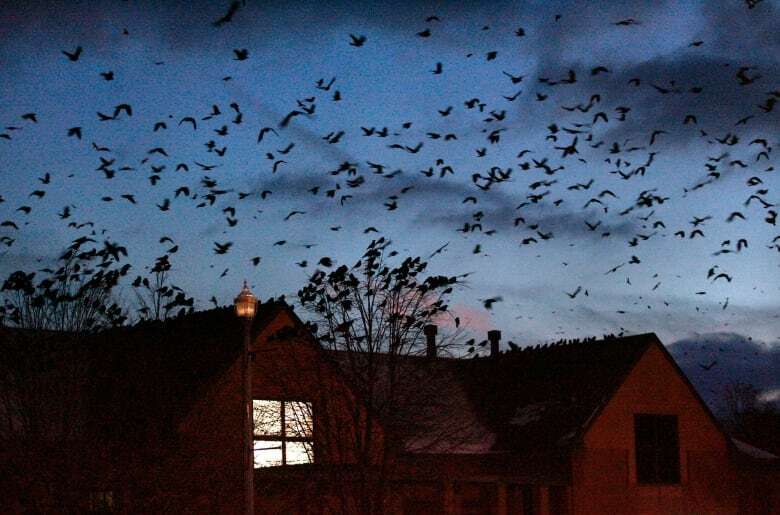 Once every year, thousands of crows descend on the city of Nampa, Idaho, and roost until the early spring. This year, the city set up a crow patrol to minimize the damage and disruption. The annual invasion is nigh. But, this year, the people of Nampa are ready. 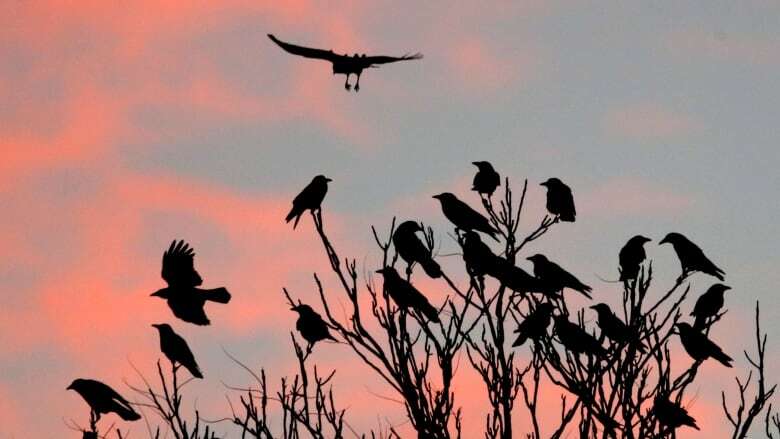 Every autumn, the residents of Nampa, Idaho brace themselves for the arrival of a massive murder of crows. Like clockwork, thousands of the birds flock to the city. "It looks like something out of an Alfred Hitchcock movie," Robert Sanchez told As It Happens host Carol Off. The city is hoping to ward off the birds using noise makers, laser pointers and, even, a falcon. Sanchez is the chief of staff for Nampa. He estimates last season around 10,000 crows descended on the city and covered a swath of blocks about five kilometres in length. "They would come as the sun was coming down. You would see these huge flocks of crows converge on the city," Sanchez said. The crows usually leave in the morning. Sanchez suspects they return to farm fields in search of food. But he is keen to learn what draws the feathered visitors to Nampa in the first place. This year, the city has partnered with some organizations that will help them determine the birds' migratory patterns. "It's kind of exciting to anticipate their return. But to do it in a way that is going to help us to gain an understanding and clarity on crow behaviour to help educate and inform the public," Sanchez said. Sanchez knows that some residents of Nampa welcome the crows. But others find the noisy birds — and their droppings — a nuisance. "This is our first time, here in the city of Nampa, where we've had a very deliberate and methodical crow management plan in place," Sanchez said. Beyond educating the public — and that includes reminding residents that the birds are protected by federal law — Sanchez said the city is placing decoys in trees to discourage the birds from roosting. They city has also recruited a falcon to scare the crows. But he admits that, even with the deterrents, the crafty crows will be hard to outsmart. "They are very intelligent species and they are very adaptive," Sanchez said. "We're going to see exactly what happens as we experiment with different techniques." As a last resort, Sanchez is considering trying to use nonlethal approaches to displace the crows and then establish a safe-haven outside of the city for them to roost. Written by Donya Ziaee and John McGill. Produced by Donya Ziaee.